Even if you never contact our office, I have to ask you one thing: please do not pay anyone to do a loan modification for you. Save your money. You can do it yourself or go to NACA's Home Save Program and they will help you at no charge. NACA is the only organization (that I know of) that has successfully modified mortgages and reduced principal in a very reasonable time period. They have agreements in place with most of the major lenders to streamline the process and get you the help you need. And their assistance is free! You can even do it online. Go to their website today - you have nothing to lose. 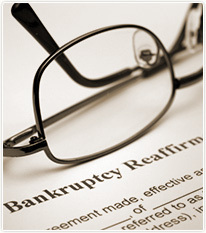 Call a Fort Lauderdale bankruptcy attorney at our office now and get the facts on how to save your home. Loan modifications are not easy to get but there are other options for saving your home. There are evening and Saturday appointments available for residents of Fort Lauderdale, South Broward, Pembroke Pines, Miramar, Plantation and Weston at our Davie Office. We serve North Broward and Coral Springs at our Coral Springs office location.